This heat has got me wearing primary colours I wouldn’t ever think to wear. 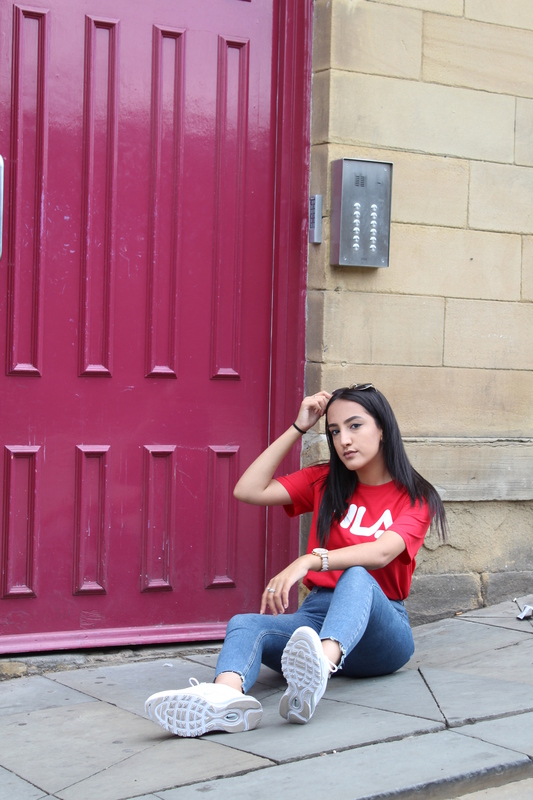 I love bright colours in this heat, I’ve been loving red and electric blue. 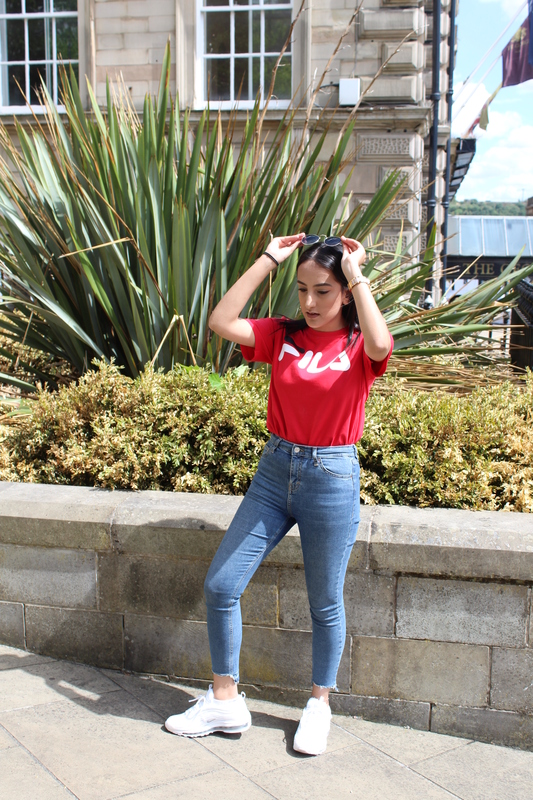 We are also bringing back a trend that died yep you guessed it – Fila. 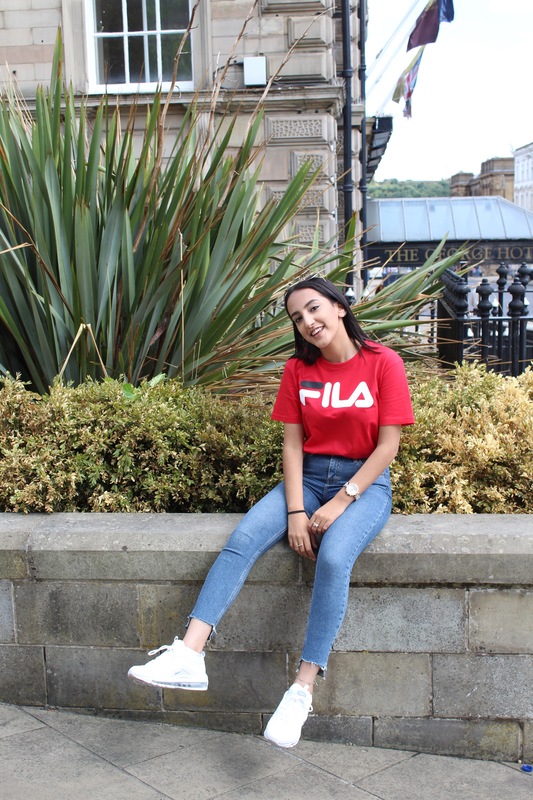 Red Fila Cropped Top – Topshop (similar) I bought a men’s t-shirt and cut it to make it a cropped length. I love how this looks on and it’s perfect in this heat. As well as it being so easy to style. I’ve styled it with trousers as well jeans as i’ve done in this look. 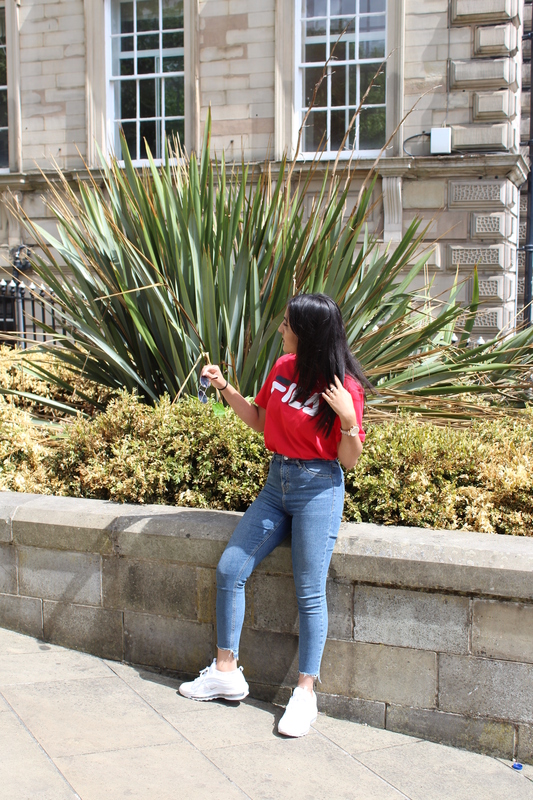 Frayed Hem Jamie Jeans – Topshop. My trusty Topshop jeans never let me down. They are definitely the only jeans that fit me perfectly, from my waist to my leg length (it’s a hard life being short). 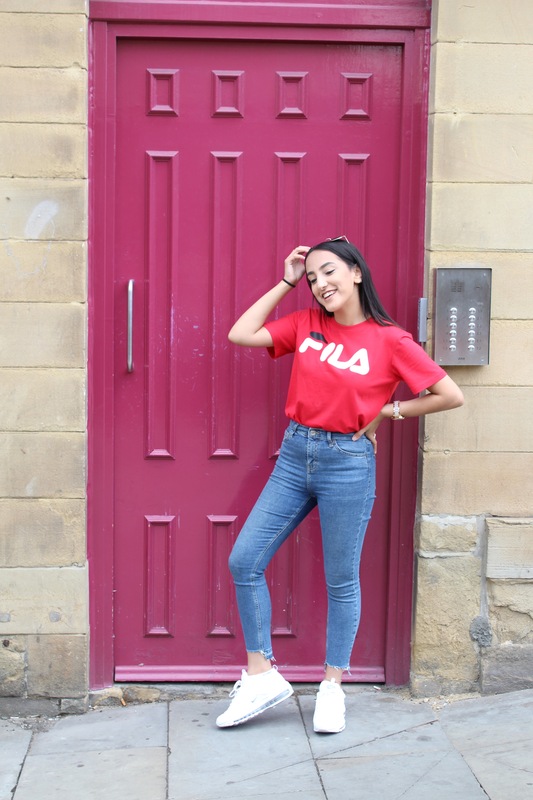 I love the summer vibes they give, they’re so easy to style from dressing them up with a pair of heels to a more casual look with either a pair of vans or trainers. White Air Max 97 Triple White – Foot Locker. Yes it’s them you guessed it. I couldn’t wear this outfit without them. They’re such a comfortable shoe. 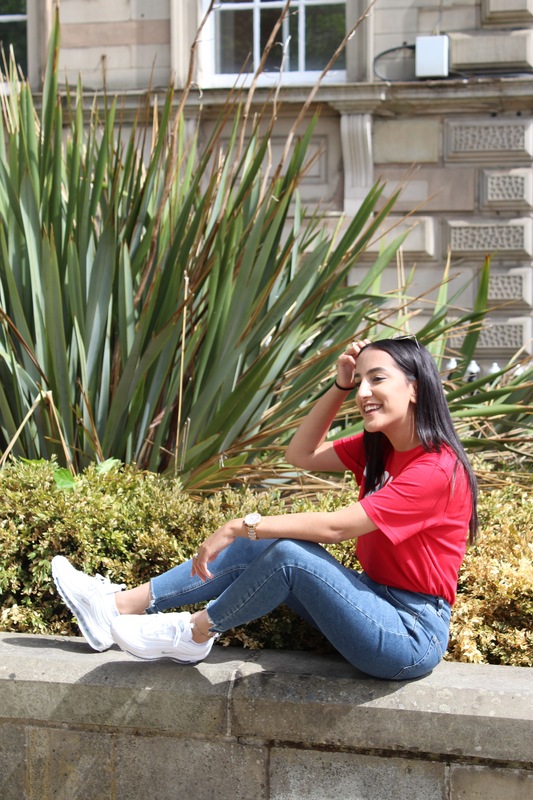 The little bit of white text just adds abit of white into the whole outfit matching with the shoes which is subtle and not too ‘matchy matchy’. I’m living for abit of white here and there in the sun. I do need to wear white more often because I do love how it looks when the sun is shining. Round sunglasses – Primark. As always it’s the round Primark sunglasses, I recently bought a second pair just in case I ever loose or break my first pair (yes that’s how much i love them). I think it’s the only pair of sunglasses i’ve fallen in love with and suit my face perfectly. What colours are you loving this summer? Comment below.